Immerse yourself in an oasis inside the city. 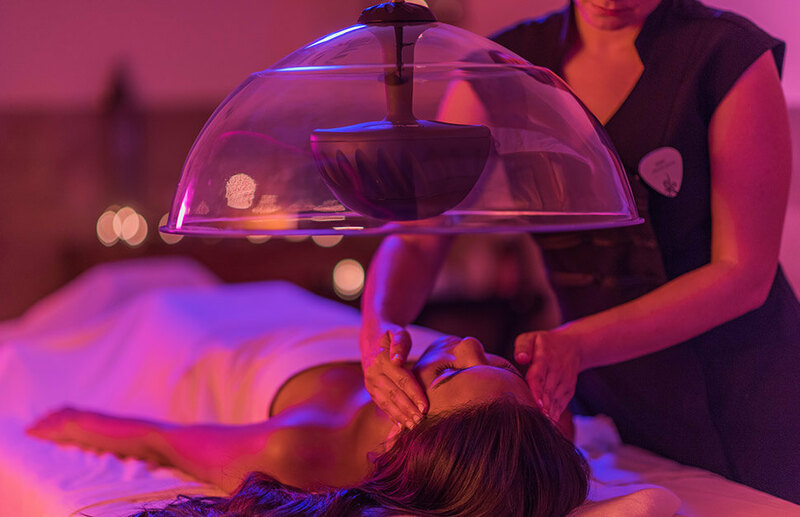 Live it up and treat yourself to a full sensory experience in our Rock Spa®. We mix luxurious and revitalizing spa rituals with different types of massage therapies, beauty treatments and hydrotherapy inside a tranquil atmosphere. Our Spa beauty treatments will get you looking right. Our VIP touch makes you feel like a star on the red carpet before your event. Utilizing greatest hits from yesterday to today, the treatment taps into memories to create an experiential journey, in sync with a performance of techniques, pressure and rhythm. The massage is infused with a choice of natural organic essential oils to reduce stress, ease muscle tension, and detoxify. Bringing the therapeutic benefits of sound vibration and clinically proven organic products to rejuvenate and hydrate facial skin, this journey leaves skin smoothed and refreshed, shedding years and restoring a star-worthy glow. This is the ultimate healing experience warming guests up and wrapping them in bliss with a sweet finish. For the full body benefit, this treatment begins with a brisk, rhythmical body polish. Following the detoxifying wrap to nourish the skin, the 50-minute rhythm and motion massage and cleansing facial mask complete the treatment. A refreshing shot of Rock Spa® Detox Tea is then served, to keep guests in a relax state even longer.